The install comes with files needed to build my own rescue disk. You can use these files as a template to create your own. If you add PowerShell it will work just like any other PowerShell console though it will not load a user profile that is why the add PowerShell profile script is in the profile.ps1 format. 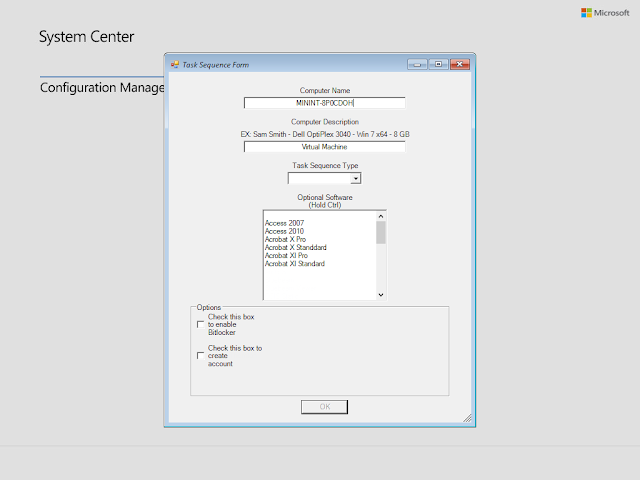 When you add bitlocker support the corresponding PE components get added to the image. Part of these components should be the addition of the mangae-bde.exe tool this exe is what allowes you to interact with a encrypted decice. However the tools resource files do not get added to the image by default. To resolve this I have the PEBuilder copy the needed files from the device the image is being built on. The draw back is that the OS you are building on needs to match the PE image architecture. So if you are building a x86 PE image, to add bitlocker support you need to be building on a x86 OS. Added a add addition components button that allows you to add more components then the presets for PowerShell and Bitlocker. There is an error in the required files being added the image from Microsoft. To fix this I have made it so the script copies the files from the build computer the mounted image file. C: \ Windows \ system32 \ en-ES \ erofflps.txt "
I do not understand any of this, can you help me? I havent seen this before either, What OS are you on and do previous versions work for you ? 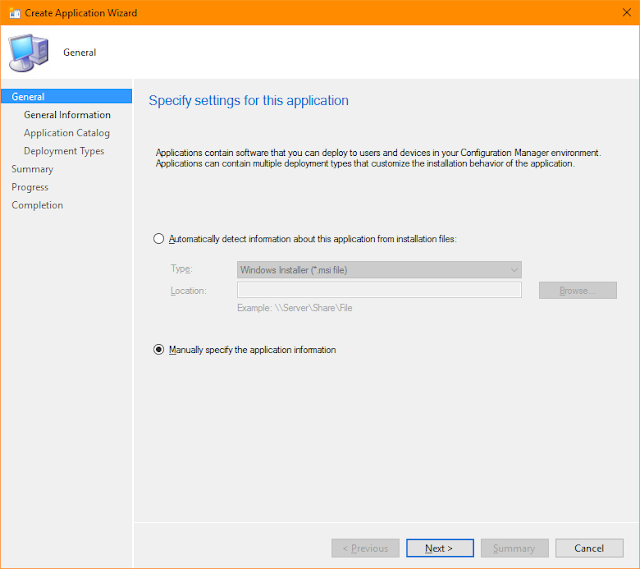 Install the NET Framework 4.0.30319 that I requested when installing the program because it would not be installed otherwise. It's the first time I try to install it. ok, I am testing some things in windows 7 and will let you know in the mean time you can run PEBuilderGUI.ps1 from an administrator powershell console to use PEBuilder. The exe is just a wrapper to launch that script. I appreciate very much, but very much, your concern to help me in this matter. But I've tried to follow your instructions, but I still can not make it work. I do not know scripting, and maybe that's what does not allow me to run PEBbuilder. I have tried from power shell both x86 and x64 to execute the files that you indicated to me but I have not managed to make it work. The builder is accountable only with English? I managed to make it work, I installed the English pack. on the other hand, the iso are not bootable. Nonbootable dirve: How are you creating the drive are you creating an ISO then burning to the drive or are you using the burn to usb feature in PEBuilder? I found the thing for powershell after writing my comment on the blog. 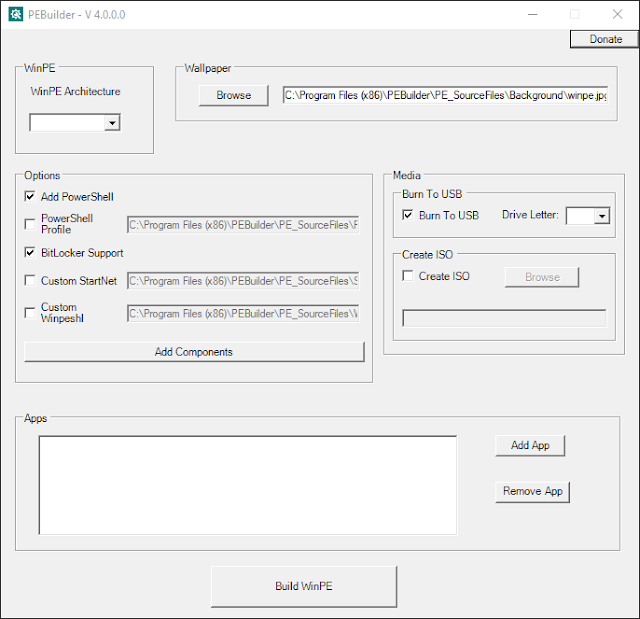 yes I used pebuilder for the creation of iso.